4 Seasons Hedgehog food. Standing resealable bag. Netto Weight: e 500g. 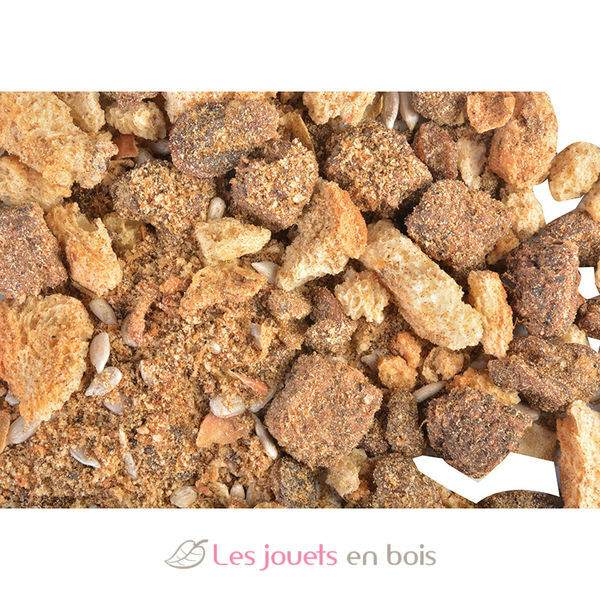 Ingredients: Beef meat powder, bread crumbs, raisins, sunflower hearts, dried beef meat, dried apple, soya. May contain trace quantities of cereals.Guarenteed analysis: fat 30.7%, protein 27.1%, carbohydrates 25%, moisture 9%, ash 5.2%, crude fiber 3.2%. 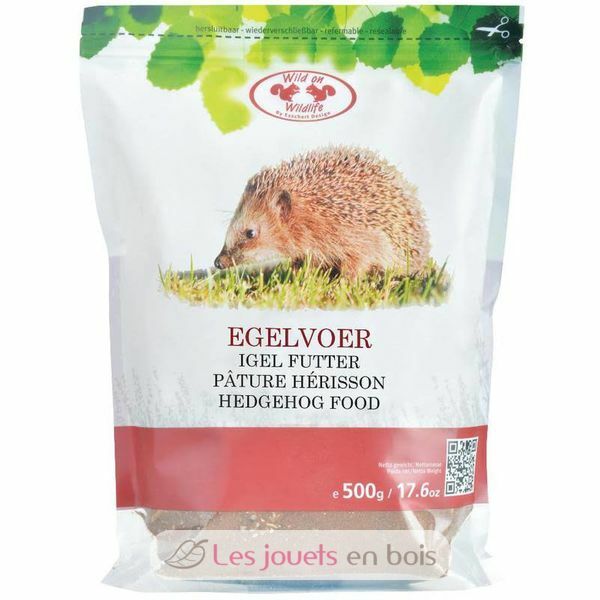 Hedgehog food made by Esschert Design - WA26.